This is a thank you note from Joel to my grandparents for some money for his First Communion. I had to post it because it's so sweet. 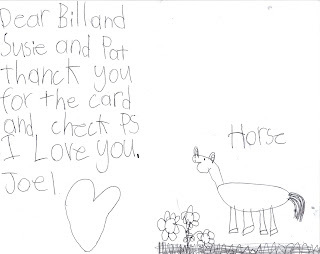 Oh, and my grandparents live next to some horses, so he drew them a horse.